Mahmoud Abbas spoke at the Arab Summit in Tunis on Sunday, and he begged the leaders there for more money to make up for the funds that Israel and the US have cut from his budget. "We are facing very difficult days," he told the summit. "We will have to take decisive steps, and we are confident that you will be with us in our struggle a true support." This is not likely. Arab support for Palestinians has been going down over the years as frustration over the Hamas/Fatah split and their refusal to be flexible on peace terms with Israel. "We are coming to very difficult days, after Israel - the occupying power - destroyed all the agreements and renounced all the commitments from Oslo until today. It continues its policy and procedures to destroy the two-state solution, and has made us lose hope for peace with it. We can no longer tolerate this situation or live with it in order to safeguard the interests of our people, " Abbas said. 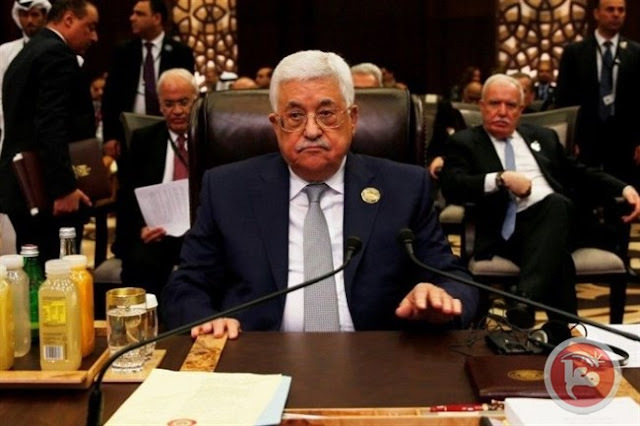 Abu Mazen bragged about not accepting anything from Israel unless it continued to pay the full amount, including funds that are paid to terrorists out of the PA budget. "Israel cut off a large part of our money, which it collects and takes a commission from, under the pretext of paying salaries to the families of the prisoners and the wounded, which is a breach of the agreements. This made us insist on the receipt of our money in full undiminished. We will not abandon our people, especially those who sacrificed themselves," he said. Of course his dignity at not accepting Israeli tax revenues does not extend to the indignity of begging Arabs for more and more money so he can continue to pay both terrorists and regular salaries. "In light of this emergency crisis, we call on you to activate the resolutions of the previous summits by activating the financial safety nets and fulfilling the financial obligations of the brotherly countries to support the budget of the State of Palestine. This situation is very difficult and dangerous, please do not abandon us in it," Abbas begged. He also insulted Hamas and blamed it for the split. He attacked the US for its moves of closing the PLO offices, recognizing Jerusalem as Israel's capital, for shutting off aid to UNRWA and for recognizing Israel's control over the Golan Heights. He predicted that the US "will tell Israel to take part of the Palestinian territories and give the rest of it autonomy, and make the Gaza Strip a formal state for Hamas to run." Abbas demanded that Arab states cut off relations with any state that recognizes Jerusalem as Israel's capital. "We urge you, my fellow leaders, to be wary of Israel's attempts to push some countries of the world to transfer their embassies to Jerusalem. This requires our countries to stand in their way and declare those countries that are in this direction to violate international law and expose that their political and economic interests with Arab countries are at risk." Finally, he said, "We are confident that Israel's attempts to normalize its relations with the Arab and Islamic countries will not succeed before the Arab peace initiative is implemented from beginning to end and not vice versa, and normalization only with the end of the occupation of the Palestinian and Arab territories." When he says he is "confident" that means he is frightened.